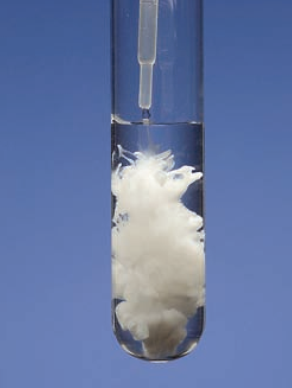 Potassium nitrate remains in solution. Figure 1 shows this reaction in progress. The preceding reaction is an example of a metathesis reaction (also called a double displacement reaction), a reaction that involves the exchange of parts between two compounds. (In this case, the compounds exchange the NO3- and I- ions.) As we will see, the precipitation reactions discussed in this chapter are examples of metathesis reactions. Figure 1 Formation of yellow PbI2 precipitate as a solution of Pb(NO3)2 is added to a solution of KI. How can we predict whether a precipitate will form when a compound is added to a solution or when two solutions are mixed? It depends on the solubility of the solute, which is defned as the maximum amount of solute that will dissolve in a given quantity of solvent at a specif c temperature. Chemists refer to substances as soluble, slightly soluble, or insoluble in a qualitative sense. A substance is said to be soluble if a fair amount of it visibly dissolves when added to water. If not, the substance is described as slightly soluble or insoluble. All ionic compounds are strong electrolytes, but they are not equally soluble. 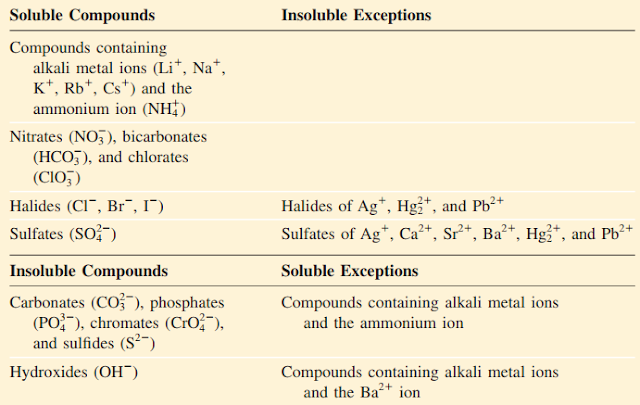 Table 1 classif es a number of common ionic compounds as soluble or insoluble. Keep in mind, however, that even insoluble compounds dissolve to a certain extent. Figure 2 shows several precipitates. The equation describing the precipitation of lead iodide on page 100 is called a molecular equation because the formulas of the compounds are written as though all species existed as molecules or whole units. A molecular equation is useful because it identifes the reagents (that is, lead nitrate and potassium iodide). If we wanted to bring about this reaction in the laboratory, we would use the molecular equation. However, a molecular equation does not describe in detail what actually is happening in solution. 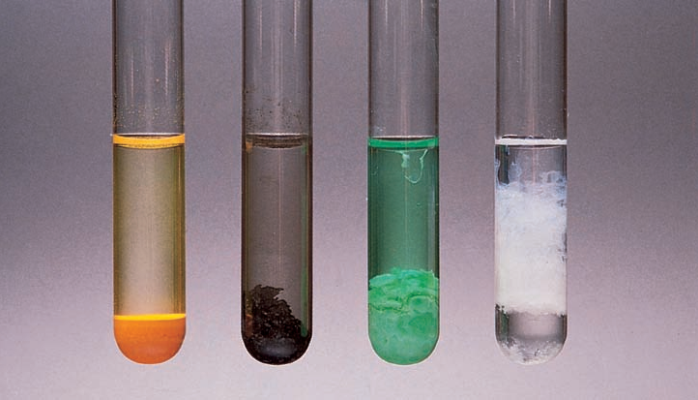 Figure 2 Appearance of several precipitates. From left to right: CdS, PbS, Ni(OH)2, Al(OH)3. Looking at another example, we find that when an aqueous solution of barium chloride (BaCl2) is added to an aqueous solution of sodium sulfate (Na2SO4), a white precipitate is formed (Figure 3). Treating this as a metathesis reaction, the products are BaSO4 and NaCl. From Table 1 we see that only BaSO4 is insoluble. Figure 3 Formation of BaSO4 precipitate. 1. Write a balanced molecular equation for the reaction, using the correct formulas for the reactant and product ionic compounds. Refer to Table 1 to decide which of the products is insoluble and therefore will appear as a precipitate. 2. Write the ionic equation for the reaction. The compound that does not appear as the precipitate should be shown as free ions. 3. Identify and cancel the spectator ions on both sides of the equation. Write the net ionic equation for the reaction. 4. Check that the charges and number of atoms balance in the net ionic equation. Chang, R and Overby, J. (2003). General Chemistry: The Essential Concept. 6th .ed. The McGraw-Hill Companies: New York. Thanks for reading Precipitation Reactions in Aqueous Solution. Please share...! 0 Comment for "Precipitation Reactions in Aqueous Solution"